Jill Bazos talks about using board games in the class room. 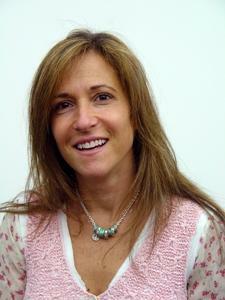 Jill Bazos is vice president of marketing at Sababa Toys. Jill has led several strategic sessions for such blue chip companies as Campbell's, Nestle and Johnson & Johnson as well. Jill's ultimate proof of dedication to the kid business was her contribution of her own three little girls to her target audience. Believing that working to shape their world would only strengthen her knowledge of Child Development, Jill decided to move her career to her home where she created Kid Pro Co., a company dedicated to marketing to children and their parents. The company focuses on the importance of strategy development, which is used to create new products, business plans, marketing plans and programs. Further, Kid Pro Co, Inc. assisted in the launch of two unique start-up companies in Manhattan: Fresh Direct, the ground breaking, on-line grocery business and The Power of Play (by Aha! Learning Systems), an immersive play workshop that guides parents in creating an optimal play experience between them and their baby. Jill offers the following information and tips for choosing and using games in the classroom. I really began customizing my career in college by crafting my education to accommodate my passion for kids and toys. I attended Tufts University where I completed a double major in child development as well as computer science and studied the effects of new and changing technology on kids. Since this beginning, I have dedicated my life to smart, responsible marketing to kids and their families. I've worked on the management, development and implementation of marketing programs for Playskool, Tonka, Hasbro, Kenner and Milton Bradley, Mott's and more and also headed accounts in the kid entertainment space from play arenas to licensed property apparel. Sababa Group, comprised of Sababa Toys and Front Porch Classics, is a New York based toy and game company that is refreshing, energetic and ultra creative. Its products range from basic, classic playthings to high quality, gift items. Along with proprietary products, Sababa has partnered with several blue-chip licensors to produce some of the best, all-time, multi-generational toys and games including Fisher-Price Classics, Fisher-Price Little People wooden puzzles, licensed versions of UNO, Etch-A-Sketch, Rubik's Cube, Magic 8 Ball, and Scrabble. Whatever the product, Sababa works hard to create items that not only enhance play and stimulate imagination, but that connect adults and kids, families and friends in a magical, memorable way. What are your most popular educational games? Several of Sababa's games are highly educational, from classic Fisher-Price toys like the Teaching Clock to the Word World line of products. In addition, Sababa makes games for the older set like Mythology: The Game, Blurt! (the word game) and even the ever-popular Scrabble, for which Sababa produces specific licensed versions. How can teachers and parents use games for educational purposes? In a sense, educational games are like peas. If positioned like vegetables that kids have to eat, they will likely leave them on the plate. If you make a game out of them (how many can you eat, make pictures with them, hide them in the potatoes, etc.) they will enjoy them. Learning through play is one of the best ways to acquire knowledge and creativity. Any game can be considered educational if teachers and parents take the time to find the value and present it in a way that teaches creativity, academia, values or social skills. Can you give us a brief breakdown of appropriate games for different ages? Do you have any other advice or tips you'd like to offer? Toys and games are not babysitters. Parents and educators have a responsibility to demonstrate game play behavior and look for unique ways to teach through play. The bonus should not be on the box and what is inside. That's just the dressing. It is up to adults and educators to bring a toy to life whether it is as simple as a ball or as complex as a strategic game. The world of play is overflowing with opportunities to teach and learn. It's full of peas. That's the part we love!